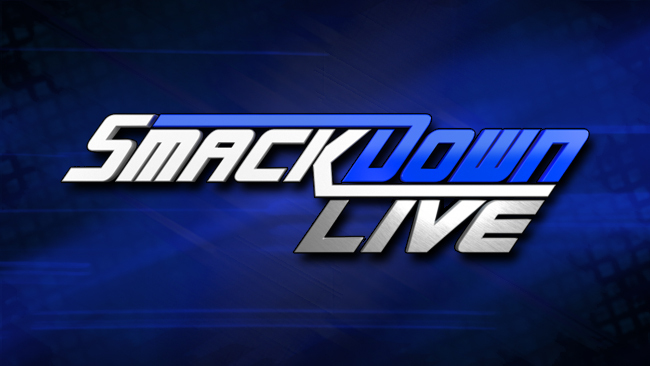 TWC Fantasy Booking – How I would of booked the WWE Roadblock Main Event. Hello TWC Misfits. I promised to review Roadblock and thats exactly what I am going to do in my first ever review. I know its been about three or four days since the event, but better late than never. My review format will frequently change, as I am just trying to find my style.  However, I do plan to review many events, including, classic PPV’s and content you can watch on the WWE Network. I hope you all dig it. I would like to start this review by reminding everyone that Roadblock was not a PPV. I mean some people were expecting a big event atmosphere, where the landscape of the WWE was going to change resulting from this events festivities. However, it was not a PPV event but rather just simply a WWE Network special. Similar to the Beast in the East from last July, or the Madison Square Garden special from last October. Both events were basically glorified house shows. The major differences from a regular house show compared to these WWE Network specials, is that they either featured matches that were highly promoted on regular television such as on Raw, the event was in a popular geographical area, the event advertised for a special attraction to appear or all of the above on the same event. All three WWE Network specials so far have had matches that were highly promoted on regular programming and took place in a prominent geographical area whether it was Japan, New York or Toronto. All three Network specials, also featured Brock Lesnar, who works on a part time limited date schedule. Therefore, he’s a special attraction anytime he shows up on an event, and if he’s wrestling, thats makes him more of a special attraction. These types of events are a way of getting people to sign up for a subscription to the WWE Network because you wouldn’t be able to order these events on PPV, but watch them exclusively on the WWE Network. Now, besides the Beast in the East where the NXT Championship changed hands when Balor defeated Owens in Japan, a country where Balor as Prince Devitt was a massive star, most of the time, nothing major really happens. There usually is not a major title change or major development on feuds that happen on these events. Although, thats not a bad thing. It was a common practice for the wrestling companies in the past to air taped house show events on television and so on during the 80’s and such. If you actually look in the WWE Networks Vault section, you’ll find a section called WWE Old School. That section features a ton of classic house shows, with stacked cards, in prominent cities and where rarely anything major that would change the course of the company happened. These shows are surely not PPV’s but just one step down from a Saturday Nights Main Event. Plus, if you own the WWE Network, everything is just a special and not a PPV, because you’re paying the same standard price a month to see every event, plus all this additional content. Therefore if you watch something once, twice or three times, you’re technically only paying one price, one time to watch it over and over again. If you dissect the term pay-per-view….it means you are paying for the show every time you view it. Whereas, with the WWE Network you’re technically not. 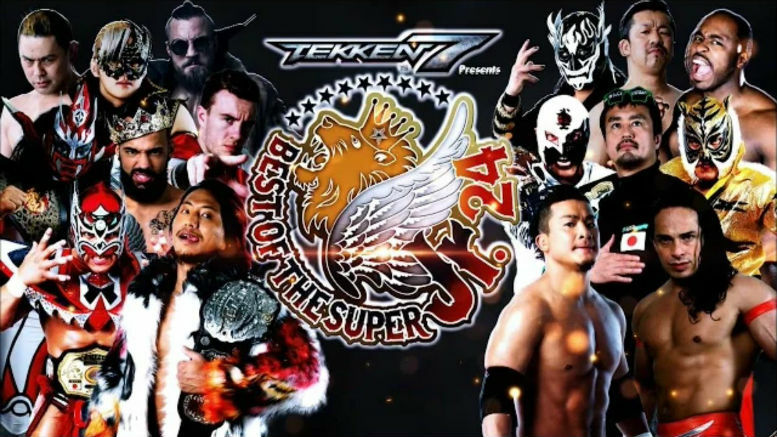 Regardless, you’re gaurenteed a hour or two of quality wrestling, and matches you might have never gotten to see live that might have you sitting on the edge of your seat because you think something just might happen. Oh and of course looking back at the last two Network specials again, you get a rare appearance from The Beast Brock Lesnar. If you avoid going into watching these Network specials with the expectation that something major is going to happen but with the attitude that you’re about to enjoy a solid presentation of sports entertainment, you’ll have nothing to complain about once its over. I just wanted to clarify that after finally watching the event in response to some of the comments I read on my IG page when asking how the event was. Now lets move on and get to reviewing the actual event. WWE Roadblock is coming to us live from the Ricoh Coliseum in Toronto, Ontario, Canada. I expect the crowd to be loud, alive and proud since they are in Toronto. The main events that were promoted going into the event were “The Game” Triple H defending the the WWE Championship against “The Lunatic Fringe” Dean Ambrose and the special attraction, “The Beast” Brock Lesnar finally confronting that thorn in his side for the last few months, “The Eater of Worlds” Bray Wyatt. The only other matches I was aware of for the undercard before the event were the two tag team titles matches, and as well as the Divas Championship match. However we got a couple of other special treats. The show begins with a video package hyping up the two main events. The stage and lighting of the event looks like a house show, as you will notice if you’ve ever been to one. It still is kind of nice to see a different stage set up rather than the same old one they’ve been using for every event besides Wrestlemania these days. It gives the show itself its own character. In ordinary fashion, we get the New Day out first and they cut a promo on their opponents before the match, as per usual. They actually revealed a cereal box labelled “Booty-O’s” featuring the trio on the box, which I found clever and really got over with the wrestling fans over social media. The two members from League of Nations that competed against The New Day for the tag titles were Sheamus and Wade Barrett. Is it just Wade Barrett again and not Bad News Barrett or King Barrett? I don’t know. A little off topic from the match, but its great to see Barrett back in action since he was appearing on TV and apart of the group since its inception but then was sidelined by an injury. Ive always been fond of Barrett ever since his debut on the main roster after winning the first NXT competition and being the leader of Nexus. However, he just never got his big break, mainly due to injuries at the worst possible times. It saddens me to hear the rumours that Barrett may not resign to the WWE after his current contract expires. Only time will tell if that is true or if he changes his mind. Anyways, back to the reviewing the opening match. The match was exactly what you expect from the two teams and featured some solid wrestling. It’s interesting to see the New Day slowly transition into becoming a babyface tag team. Its not too hard to get behind them as babyfaces because they are a very entertaining and comedic trio. There was apart of me that felt like they were getting a bit repetitive and stale, but this face turn gets me interested in them now that they will be facing off against the heel teams they haven’t had programs with before. Although, they’re turning face there still was some outside distractions from Xavier Woods, but you could just classify that in a positive way by saying thats just typical New Day antics. RESULT – The New Day defeat Sheamus & Wade Barrett of the League of Nations after Big E hits the Big Ending on Wade Barrett in a solid opening match. No big surprises here. FINAL VERDICT – Its official that the New Day are being booked as babyfaces going into Wrestlemania and most likely facing members of the League of Nations. This totally rules out my idea of a TLC match for the tag team titles between The New Day/LON/Dudleys & Usos. A video package airs recapping the AJ Syles and Chris Jericho rivalry airs, which leads to Chris Jericho coming out to cut an awesome promo insulting AJ Styles and badmouthing Canada, since you know, we are in Toronto. I’ll have to admit, being a proud Canadian, this promo was great heel work from Jericho. Personally, the promo before the match and Jericho ripping the get well soon Bret Hart poster after the match is what stood out to me the most for this whole segment and match. Speaking of a match, Jericho referred to AJ Styles as a “flash in the pan”, similar to Jack Swagger who defeated him for the World Title in 2010. Thus, leading Jack Swagger to come out and confront Jericho leading to a match. If you don’t watch all of WWE weekly television programs, including shows such as Main Event or Superstars, you may have not seen Swagger for a long time. It was kind of hard to get excited to see Swagger come to Canada’s rescue (which he most likely wasn’t but I’d like to believe having a Canadian wrestler such as Sami Zayn come out, would have been more exciting) and to defend himself when he’s an All American American and rarely seen. I will admit though, Ill always be a fan of Swagger’s entrance music. Damn, its stuck in my head now. What a waste of great entrance music. They worked a solid match and Jericho continued to play up to his recent heel turn doing such dirty tactics like grabbing the referees leg to help pull himself to the ropes. Its very evident that Jericho’s an old school seasoned veteran in that ring because he pays attention to the small details. Its one of the things that I sometimes find missing these days. RESULT – Swagger taps out to the Walls of Jericho. FINAL VERDICT – Once again Jericho is proving his ability to put over younger or newer talent efficiently, where the likes of Jack Swagger still looked great even in a losing effort. It was a great match that served its purpose but nothing I’ll be digging through Network months from now to watch again. I wish they had a Canadian come out and defend Canada, but this did just fine. I have seen Jericho get a lot of hate on social media during his most recent runs and it absolutely blows my mind because its not like he returns on a part time schedule where he only puts himself over, but he uses his credibility as a legend to help put over younger talent. JBL might have been chanting “You still got it!” at the end of the bout but the truth is Jericho never lost it. Up next, the NXT tag team titles were going to be defended. A video package was played prior to the match which was a smart move because it showcased the current tag team champions, The Revival. I found this as a well played by the WWE since the throwback team of Dash and Dawson, may not be a tandem well known to the casual fan. I refer to them as throwback team, because of their similarities in wrestling style and character to throwback classic tag teams of generations before such as The Andersons or the Brain Busters. No surprise here, but Enzo and Cass were insanely over with the crowd in Toronto. Also, to put a cherry on top of their undeniable charisma, they were accompanied by their fabulous manager the Princess of Saten Island Carmella, whom to no surprise looked great. To those people out there that believe that Enzo, Cass and Carmella as a group are only popular among the NXT crowd, the reaction they got on Roadblock begs to differ. If you watched NXT Takeover: London, you were going in to this match expecting a great contest and that was exactly what you got. I personally love tag team wrestling when its done right. Yeah, the formula can sometimes be predictable where one of the babyfaces (usually the smaller one if thats the case) is taking a beating until they can make a hot tag. In spite of that, this match threw a couple of curveballs that made it stand out. Firstly, people have been waiting for Enzo and Cass to win the big one for so long now, that if anything big was going to happen on this show, you would believe it would be in the NXT match that would not effect Wrestlemania, right? Therefore, I would be lying if I said I didn’t get sucked into believing the false finishes. Secondly, there was the Carmella factor. Carmella got involved in the match from the outside, which caused a little chaos outside the ring which allowed the Revival to regain the upper hand by taking out Big Cass. RESULT – The Revival pick up the win after hitting the Shatter Machine on Enzo inside the ring after hitting the Shatter Machine on Big Cass outside the ring. FINAL VERDICT – I personally found this to be a great way to showcase the kind of action you get one NXT. Also, how tag team wrestling should be done. I might have even found this match slightly better than their bout at NXT Takeover: London. Personally, I’d love the Revival be that dominant tag team that holds the NXT tag titles the longest reign. Nonetheless, if Enzo and Big Cass do end up being called up to the main roster, it leaves me with a few questions. First, are we going to see Enzo, Cass & Carmella on the main roster soon, maybe the Raw after Wrestlemania? Therefore, never getting the job done of ever capturing the NXT tag team titles. Lastly, I wonder if wrestling ability alone with their throwback gimmick is going to be enough to get the Revival over on the main roster when the time comes? We need to see little bit more charisma from these guys. Arn Anderson use to tear it up on the mic, and most the greatest tag teams of the Golden Era had managers that did most of their talking. The Revival have tons of time to figure it all out on NXT before they come to the main roster. I just tend to get ahead of myself when it comes to professional wrestling. In a backstage interview with Natalya (wearing an awesome shirt of Bret and Owen) before the match, she expresses her delight to be back in Canada and then dedicates the upcoming match to her Uncle Bret who was recently diagnosed with prostate cancer, just to be confronted by Charlotte. I’ll openly admit that I have been loving Charlotte as a heel. Charlotte played to the fact that she has a Triple Threat match for the Divas Title at Wrestlemania and that this match against Natalya is just a warm up to her. In classic Natalya/Charlotte fashion, Natalya uses her family to diss the Flair family by saying they’re cowards compared to the Harts to get Charlotte to put her Divas Title on the line. Ah, the benefit of being generational superstars. It works so well in wrestling business when trying to promote a match that was just made the week of the event to be able to use your famous wrestling family name to insult each other. I might have just been misled or confused the week leading up to this event but I already thought this match was for the Divas Championship. Regardless, Charlotte tremendously playing her heel role, claimed that Natalya will never be Divas Champion again just like the Toronto Maple Leafs will never again win the Stanley Cup. I only decided to fully recap that whole segment because I honestly believe it did a good job and it helped build a match that had zero prior build up besides this 3-5 minute backstage interview. 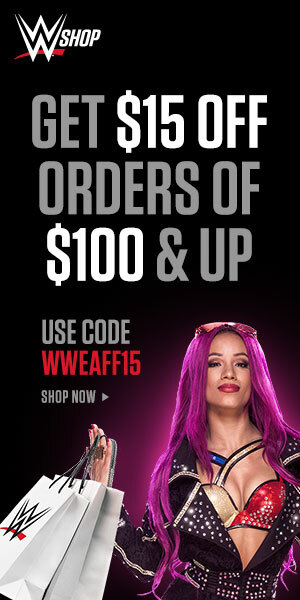 Good job WWE. I went into this match with mixed feelings. I know both women are two tremendous wrestlers. If you needed any proof, just check out their match on NXT in the NXT Womens Championship tournament final where Natalya and Charlotte put on a great match. However, this match was on the main roster, you didn’t want to make Natalya look weak in Canada and you didn’t want Charlotte looking bad just weeks away from Wrestlemania. The only thing I knew for sure was that the Divas Title was not going to change hands. However, knowing that going into the match doesn’t necessarily mean the match is doomed and can’t be great. Once again, I don’t expect anything groundbreaking to happen on these WWE Network specials. In the end, we got a great match with two very talented women that went nearly 15 minutes. To be honest there isn’t much I would have to change or complain about when it comes to this match. Its also a Divas match I might come back to watch again, because I enjoyed the storytelling and am a fan of both girls. I would most likely watch their NXT match and this one back to back. Canada was behind Natalya even though they must of known the title wasn’t going to change hands. Charlotte works great as a heel, and makes it easy for you to want to boo her. There were so many tiny details that I enjoyed and it was a solid showcase of women wrestling. RESULT – Charlotte picks up the win after Natalya releases the Sharpshooter assuming that Flair is helping Charlotte get to the ropes by grabbing her hands but then gets caught in a roll up by Charlotte who puts her feet on the second rope for leverage. FINAL VERDICT – I personally really enjoyed the match, however their match at NXT Takeover is still slightly better in my opinion. I blame it on the weird finish, where Natalya just assumed Flair was helping Charlotte cheat. I feel like if Flair actually looked like he was helping Charlotte cheat and the ref went over there to tell him to cut it out, so that Natalya was aware of it, I might of felt different. I know they had to come up with some sort of crooked finish so Natalya didn’t look bad in Canada, but it would be nice to see Charlotte pick up a victory over someone before Wrestlemania without the help of her father. I do however recommend everyone to watch both matches involving these two talented women. Their storytelling is impeccable, and both women have submission finishers that allowed them to play with the working on a specific body part scenario, which was a particular leg for both of them tonight. I did later hear some complaints on The Wrestling Classic Instagram page that the leg injuries sustained during the match were poorly sold near the end of the match. It was not something I noticed until someone mentioned it, therefore its not that important to me and doesn’t really take away from the final over all match. I hope to see the two wrestle again sometime soon down the road, with a great amount of time to put on a great match again. For many weeks now, I questioned the fact that they didn’t wrap up the Brock Lesnar/Wyatt Family feud they started working towards in late 2015 and the beginning of 2016. We we’re almost so sure that we were going to get Brock Lesnar vs Bray Wyatt at Wrestlemania 32, that we predicted he would interfere during the Triple Threat at Fastlane to cost Lesnar the shot at the title, similar to like he stopped The Beast from winning the WWE Title by getting his family to eliminate Lesnar from the Royal Rumble. However, plans changed and that feud just got scrapped, until they announced this match for Roadblock. I figured this match was going to be the blowoff to that short feud. We were finally getting Brock Lesnar vs. Bray Wyatt. However, then things got weird. Once Bray came out, it was announced that the match was going to be a handicap match, and Luke Harper would be facing Brock Lesnar along with Wyatt. There was no explanation to why or who signed off on this behind the scenes. Although, this is sports entertainment and the WWE, a lot of decisions made lack logic, there always are moments you question if they think we don’t care about the small details and a lot of feuds don’t get a blow off, so just be happy this one does. Therefore, I asked no more questions. However, then the match got even more odd. RESULT – Bray just stayed out of the ring watching, while Brock took Luke Harper to Suplex City in delight of the rowdy Canadian crowd beating him in 4 minutes. FINAL VERDICT – It was a fun interaction between Harper and Lesnar but nothing we haven’t seen before. I kind of wish Harper had a little more offence against Lesnar because he is a talented big man and my personal favourite in the Wyatt family, when it comes to in ring wrestling. In the end, the special attraction that makes this WWE Network special a special, made his appearance and decimated Harper, without even touching Bray. The only conclusions I can draw is either Bray is nursing a small injury the WWE is trying to keep low key, or they were trying to protect Bray Wyatt from Suplex City or they still have future plans for Wyatt and Lesnar in the future. Possibly for Summerslam? If you truly love Brock Lesnar’s one sided beat downs, you’d rate this higher. However, I just can’t and thats nothing against Brock Lesnar, because I am a big fan of his. Futhermore, its because this wasn’t a wrestling match, not even a brawl. It wasn’t even a solid blow off to this short feud. It was to bring Suplex City to Toronto and to make this event a special occasion because Brock Lesnar is that big of a star. The Beast Incarnate puts butts in seats. Heyman basically predicted the future when he started calling Brock Lesnar “The Next Big Thing” in 2002. Next up, fellow Canadian and home country boy Sami Zayn made his WWE main roster live special debut. He took on Stardust who is a tremendous wrestler in his own right. I thought this was a nice little treat because I was not expecting it. Zayn did get a nice little pop. Unfortunately, something happened to this crowd that killed a lot of this match. Once they got bored of chanting “Ole”, “Lets Go Sami” and “Cody Rhodes”, they lost their train of thought and started chanting for “CM Punk” among other things. It was a damn shame considering the talent involved deserved their full attention. RESULT – Zayn pins Stardust after blasting Stardust with Helluva Kick. FINAL VERDICT – The match was a solid bout but I think the fans were drained by seeing the special attraction Brock Lesnar suplex the crap out of Harper and chanting random stuff that it took away from this match. It was possibly placed on this part of the card because they predetermned they needed a match between Suplex City and the main event. I’d like to see these two have a better match somewhere down the line, with a more intrigued crowd. Its hard for me to believe you can truly give it your all in a match when you can’t feed of the crowd. Im not a wrestler but I can only imagine that when the fans are invested, you are as well. Finally, its time for the main event. I strongly believe the WWE knows how easily the fans would get behind Dean Ambrose as the top babyface and WWE Champion, that whenever they want to make a top heel get heat, they just tease us with the idea that Dean Ambrose has a chance of beating them for the title. They have done it time and time again since the Shield has split. They did it when they pulled the false finish on us at Elimination Chamber when we thought he beat Seth Rollins and even had him in the final two of the Royal Rumble this year with Triple H when the championship was on the line. Hell, they even get him so close to winning the title against babyface like Roman Reigns, so the fans will believe he’s good but just not as good as Roman Reigns. Its almost as like they want us to love Ambrose but not as much as Roman Reigns, but they know what they have with them and they utilize the crap out of it. Its actually pretty smart if you ask me. It is just that now it can only go three ways. Dean Ambrose does win the title one day and the fans explode in joy. Dean Ambrose wins the the title when the fans are over it or he does it when he’s booked incorrectly because that matters these days or we just might have to deal with seeing Dean always getting so close but never winning the big one. Only time will tell. Anyways, the crowd is back a live and were pretty split for who they were cheering for at the beginning. By the end of the match though, the fans were nearly fully behind Ambrose. The match quickly goes from a solid back and fourth wrestling match to what I expected it to be which was a brawl. Ambrose even worked on Triple H’s leg, which lead to the commentators to sell Triple H’s old quad injuries. I marked out a little bit when Dean locked on the Sharpshooter which of course got a pop in Toronto. Its personally my favourite submission move, ever since I was a little Classic. Moving forward, once again they teased us with Dean nearly winning the big one after getting the 3 count after a Dirty Deeds, but the ref noticed Ambrose feet were under the bottom rope last minute. Let me know if I’m delusional in the comment section but was there a time, where your opponents foot or feet had to be on the rope to break a fall? It didn’t matter if your feet were? I could be wrong. I know the rule between if your opponents foot is below or on the rope has been blurred, but I feel like I haven’t heard this rule about the actual participant covering his opponent feet being under the rope calling off the count. Let me know below. RESULT – Ambrose started feeling the Madness or in his case, his inner lunatic and he missed an elbow through the announce table and, though he beat the countout, ate a Pedigree and was pinned for a three count. FINAL VERDICT – I enjoyed this match and they played the fans to think Ambrose was inches away from becoming the WWE Champion once again. I don’t have anything bad to say about the match, and really enjoyed it. It wasn’t a 5 star match by any means, but it was perfect for this WWE Network special that was a pitstop to Wrestlemania. The match was heavily promoted on WWE television for a couple of weeks while Roman sold his “injury” from a Triple H beating. In the end it benefitted almost everyone. They utilized Ambrose in the best way they know how too while keeping him releavant and looking strong going into his Wrestlemania match against Lesnar. They tried to their best to gain Triple H more heel heat by getting him to beat the fan favourite Ambrose. Finally, to make us more excited when Roman Reigns returns to get revenge on Triple H, the guy who injured him and got lucky beating fan favourite Dean Ambrose. Its Tuesday right now, and Raw after this special has already aired. Im just going to say two out of those three things were actually accomplished. I know you can all guess which one was not. Overall, this was a entertaining match. Once again, if you went into this show expecting and PPV quality show, than you set your expectations to high. It was perfect for what it was. 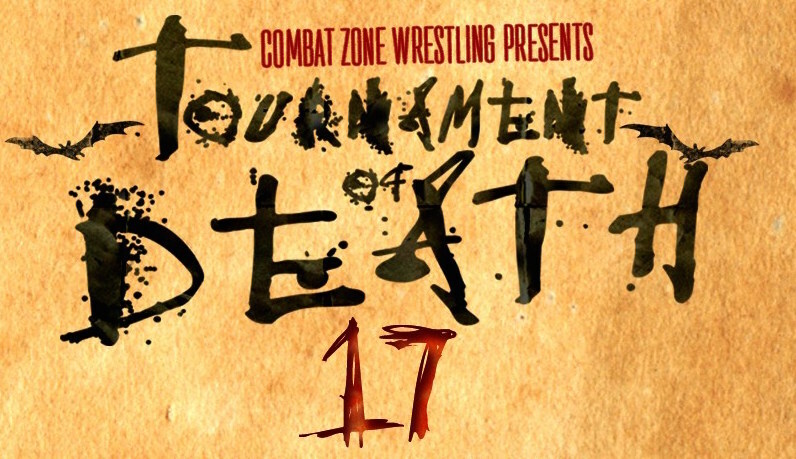 The show served its purpose and featured a lot of great wrestling. There were two awesome tag matches, a memorable Divas match and a roller coaster main event. Also, it featured Brock Lesnar giving Toronto a taste of Suplex City. I wouldn’t consider anything on the show bad. It was nice couple of hours of Sports Entertainment and a nice pit stop on the Road to Wrestlemania. If you decided to skip it, and you find some free time or are having a lazy day and want to watch something on the WWE Network you’ve never seen before, I would recommend WWE Roadblock. However, you must remember to go into watching it knowing its a Network Special, not a PPV. Cool review…… I dig it !!!!! Hope you keep this going brother! Love the page already!